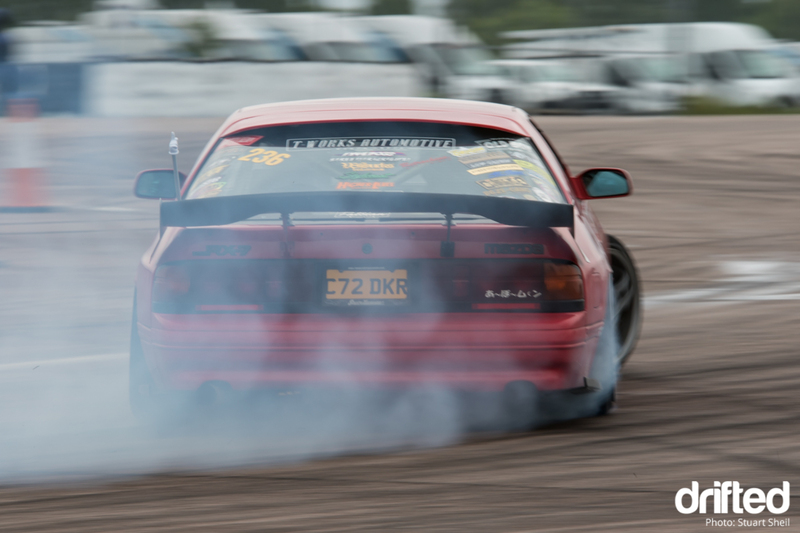 Drifted was at the recent Rockingham Drift Days to capture action. With my 5am alarm going off and a 3 hour journey ahead it was going to be a long day, but it’s Rockingham.. how could I turn down this opportunity! On arrival the weather wasn’t looking the best with some dark clouds above, but not letting that worry me too much it was time to make my way to the driver briefing conducted by Sweeps. With the outer paddock track layout explained and everyone happy it was time to make some smoke! With a few sighting laps done it gave me time to suss out where best to locate myself, and I knew it was on the very first bend – it was a nice fairly fast manji up towards the grandstand into a long sweeping bend (which unfortunately caught a few out causing them to spin) but get it right and my god it was superb to watch! 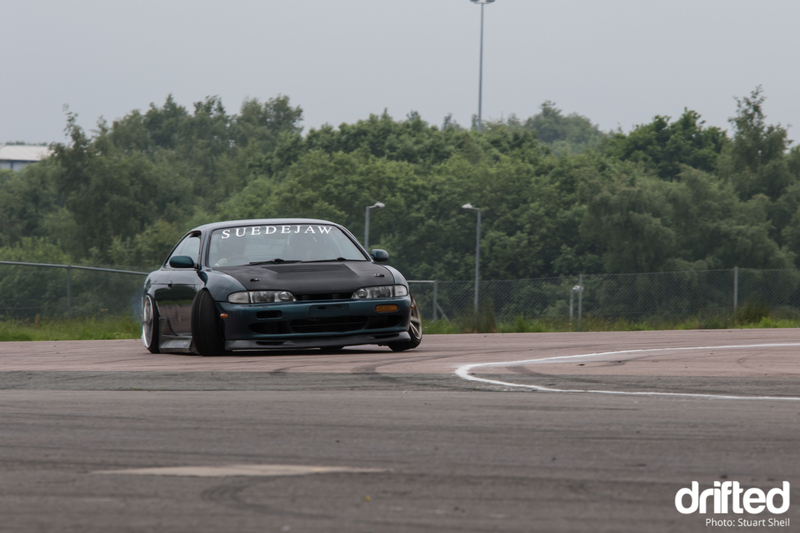 The variety of cars was amazing too – Ashley Goodlad in the most amazing Chaser, the Low Origin boys in their matching S bodies doing a good job of filing down their body kits on the track, and then we had Dan Wormeighton with his immaculate AE86. 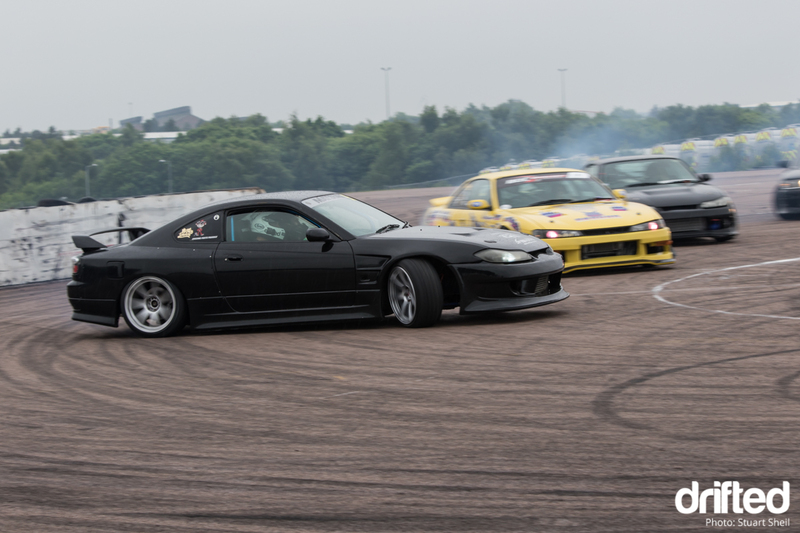 With everyone now getting used to the layout you could see people were getting quite good with their lines and pushing themselves harder and faster – bring on the 4 car drift train led by Monkey London… naughty Monkey! Unfortunately by this point those dark clouds had opened up a little and it was time to make the 3 hour journey back home, but what a day! 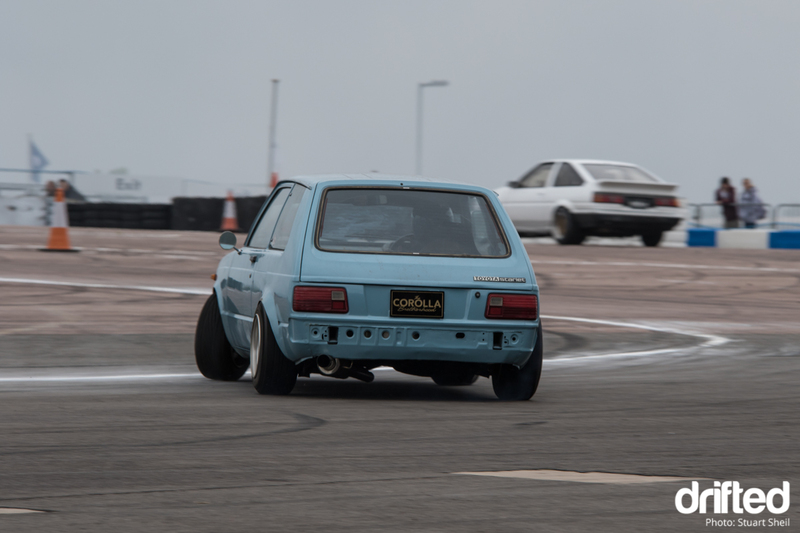 Already looking forward to the next on the 9th July to another Meihan layout and also the outer paddock – see you there! 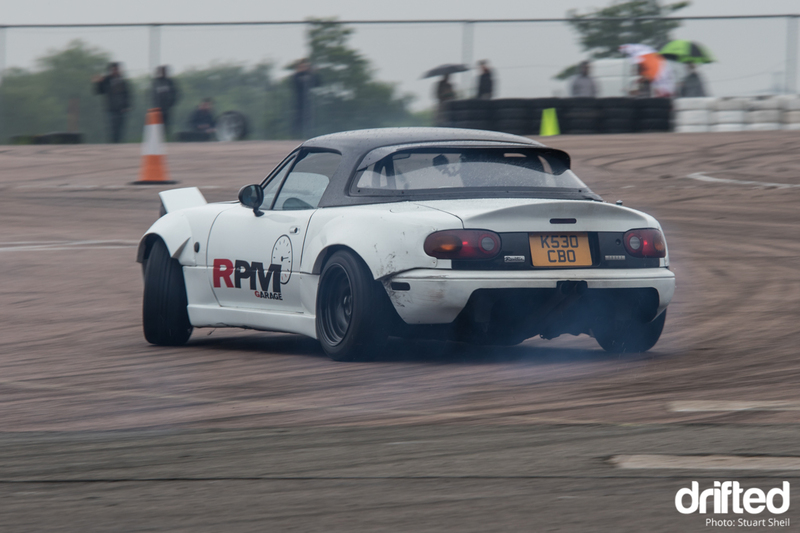 Click here for more information on the Rockingham Drift Days!